Here are a few make-up tips that will help you cover wrinkles and have a more youthful appearance regardless of your age. You will also learn about the value of a good facial moisturizer. Using a moisturizer could be more important than you think. Let’s start with your eyes. By focusing on your eyes, you can draw attention away from problem areas. If you have dark circles, you can use three dots of concealer to hide them. Your concealer should be a shade lighter than your foundation. 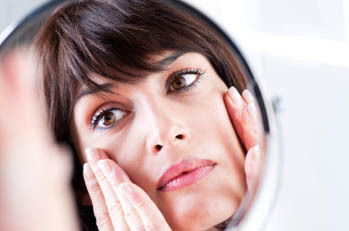 Do Wrinkle Creams Work Against UV Light? Do wrinkle creams work to protect against UV light? That’s a new question. Most people just want to know if a cream can really get rid of wrinkles. Here’s why you should care about the protection of UV, even if all you thought you cared about were wrinkles. UV rays are the invisible ones. UVB causes sunburns. You can usually tell when you have had too much of it, because your skin gets red and hot. UVA causes hyperpigmentation, age spots, wrinkles and skin cancer. You can’t always tell when you have had too much UVA. We don’t even know how much is too much.